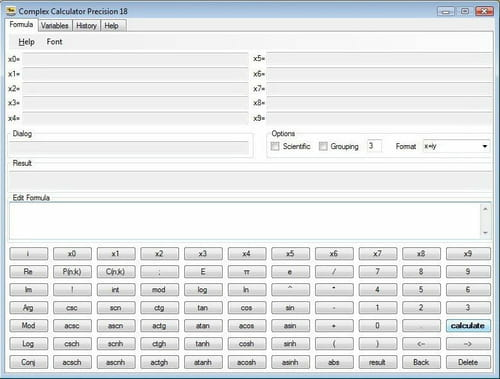 Complex Calculator Precision is a tool that has been designed by Tvalx. Released in 2009, this tool provides the ability to works with numbers. Complex Calculator Precision provides the ability to work with complex numbers. The application allows you to calculate real number also. This tool provides a full support for any formula over College Scientific Calculator. The application includes 10 variables or constant which store frequently used numbers. This tool enables you to add unlimited number of constants. Latest update on November 20, 2016 at 01:31 PM.